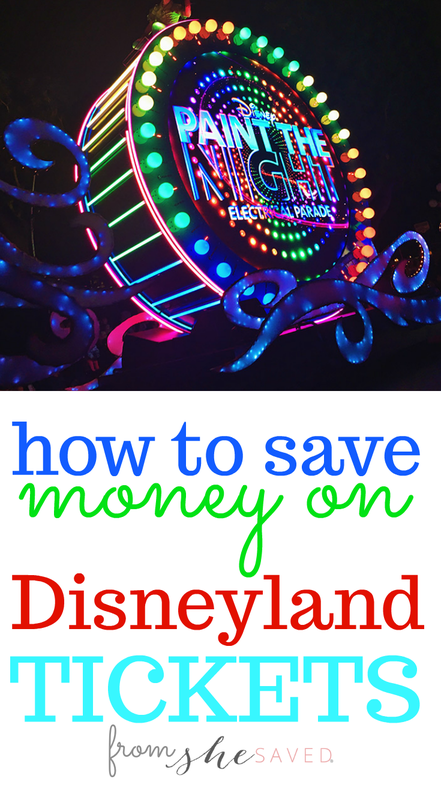 How to Save Money on Disneyland Tickets! Looking for ways to save on Disneyland tickets? I think that must be one of the most common savings questions that people ask me and I’m so excited to finally have an answer! Plus! Pixar Fest is kicking off at the Disneyland Resort this Friday and will continue through September 3rd, 2018. To celebrate, our friends at Get Away Today are bringing back their most popular sale for travel during Pixar Fest! Must be booked by Tuesday, April 17th, 2018 … go here for details. Save up to $19 per ticket! To book your 2018 Disneyland vacation, visit getawytoday.com or call 855-GET-AWAY to speak to a travel expert directly. Make sure to mention promo code SheSaved, to get an additional $10 off your hotel and tickets vacation package. Let them know that She Saved sent you! Go here to find out more about this deal and other ways to save at Disneyland, and other parks!